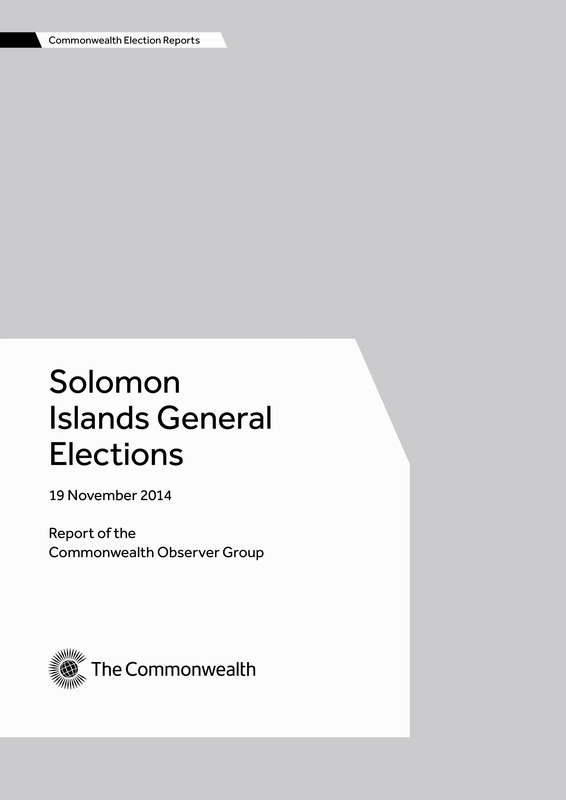 The report of the Commonwealth Observer Group for Solomon Islands general elections held on 19 November 2014. The group was chaired by Sir Mekere Morauta, former prime minister of Papua New Guinea and comprised 11 members in total. The 2014 election was significant as it was the first general election held after the withdrawal of the Regional Assistance Mission to Solomon Islands. The group found that the election was inclusive, competitive and demonstrated Solomon Islands’ commitment to democratic values and principles, although it noted that political representation of women remained disappointingly low.